Talk with Patti Fletcher now! Dr. Patti Fletcher, CEO of PSDNetwork, LLC, where she advises corporate executives and board members from lean start-ups to Fortune 100s, from small community organizations to large global non-profits. She is a sought-after speaker on the topics of leading large-scale cultural change, transformational leadership, brand building, cultivating high-performance teams, creating cultures of diversity and inclusion, harnessing talent, gender equity on boards, women in the c-suite, and women in high growth entrepreneurship. Patti is the author of Disrupters: Success Strategies From Women Who Break the Mold, and currently writes for Entrepreneur, Huffington Post, The Guardian, Forbes, and The Digitalist, and has contributed to and featured in Bloomberg Radio, NASDAQ, Refinery 29, Cheddar Live, Thrive Global, Time, Al-Jazeera, Forbes, Fortune, Newsweek, Xconomy, The Muse, WGBH Greater Boston, The Boston Globe. Patti Fletcher, Ph.D., is the author of Disrupters: Success Strategies from Women Who Break the Mold (Entrepreneur Press 2018), gender equity advocate and expert authority on how to create a culture of inclusion to drive real business results. Fletcher is recognized as a futurist; a student of the inclusive talent economy and future of leadership; an innovation-through-inclusion expert; and a writer, advisor and speaker on topics related to driving progress through people. She has been featured in Time magazine, Al-Jazeera, Forbes, Newsweek, Xconomy and The Muse and advises corporate executives and board members from lean startups to Fortune 100s. Connect with Fletcher on Facebook and Twitter. Epic fails are hard to experience and even harder to recover from. Here's your plan to get to the other side even stronger. The secret to transformation that enacts real change comes down to one thing -- the people. If you want to change the world, you have to change your mind. Only 4 percent of women are CEOs and women make up only 18 percent of board seats around the globe. But if all the research shows that the odds are stacked against women, what can we learn from the women who managed to reach the pinnacle of success despite the obstacles of systemic bias in corporate America? 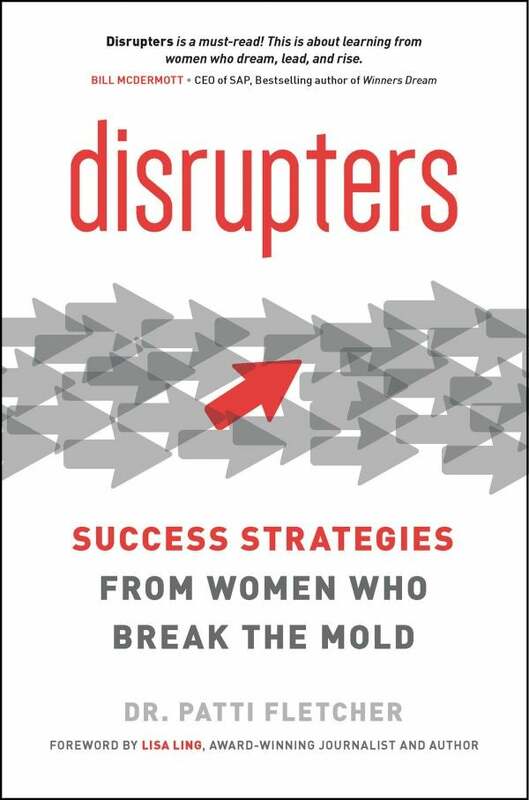 Disrupters: Success Strategies from Women Who Break the Mold explores what has enabled some women to not just break the glass ceiling but to shatter it against all odds. Disrupters is the anti-Lean In. It's not about what women should do. It's not a preachy TEDTalk. It shows what different women business leaders have done to reach success as they define it, from board members to CEOs to freelancers. The game of business is stacked against women because they follow the unspoken rules of corporate culture, made long before women entered the workforce. This book helps them recognize those rules, then showcases the women who've found success by breaking them.